Calling all parents and parents to be!! 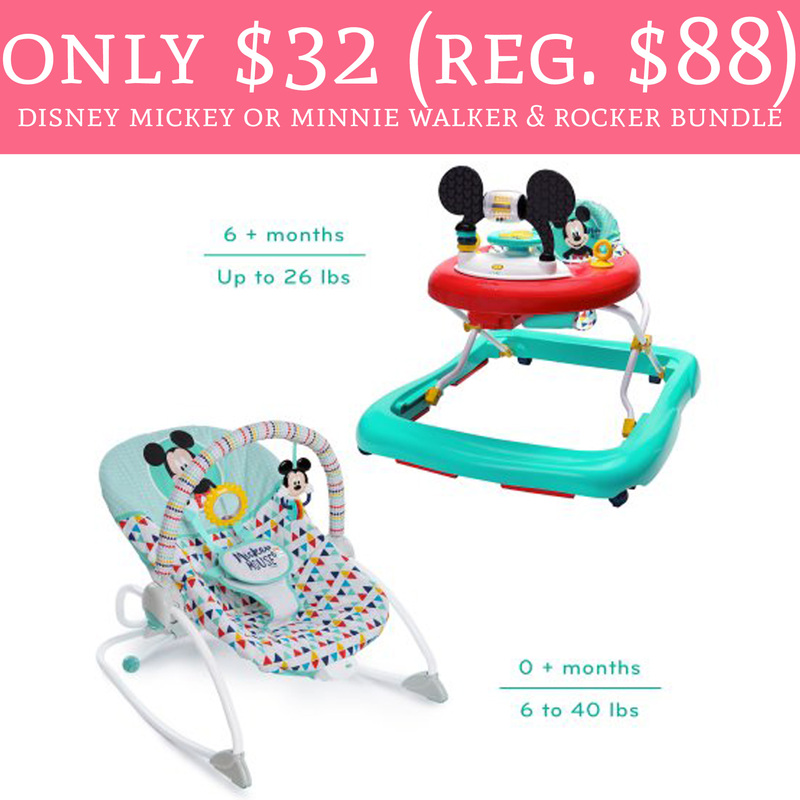 Run over to Walmart.com where you can score the Disney Mickey or Minnie Walker & Rocker Bundle for just $32 (regular $88). Choose pick up in store to avoid shipping fees or spend $35 or more for free shipping. If you are a parent or parent to be this is an amazing deal to score. This bundle regularly sells for $88 and includes Minnie Mouse or Mickey Mouse PeekABoo Infant to Toddler Rocker and Walker. Order yours here! “Ear-resistible” savings for Mom with this 2-in-1 Minnie Mouse or Mickey Mouse bundle!